(Reuters) – The cost of insulin for treating type 1 diabetes in the United States nearly doubled over a five-year period, underscoring a national outcry over rising drug prices, according to a new analysis shared with Reuters. A person with type 1 diabetes incurred annual insulin costs of $5,705, on average, in 2016. The average cost was roughly half that at $2,864 per patient in 2012, according to a report due to be released on Tuesday by the nonprofit Health Care Cost Institute (HCCI). The figures represent the combined amount paid by a patient and their health plan for the medicine and do not reflect rebates paid at a later date. The increasing cost of insulin has led some patients to put their own health at risk. In recent months, anecdotal stories have cropped up from family members and patients describing the rationing of the life-saving medication because they could not afford out-of-pocket expenses for insulin. That has also led to some protests outside company headquarters of insulin makers. HCCI said the jump in spending was driven primarily by higher insulin prices overall and, to a lesser extent, a shift toward more expensive insulin products. Average daily insulin use rose only 3 percent over the same five-year period, the report found. “Use is pretty flat, and the price changes are occurring in both older and newer products. That surprised me. The exact same products are costing double,” she said. Drugmakers say they periodically need to raise U.S. list prices of their medications to help offset steep rebates they must offer to get them covered by insurance plans. 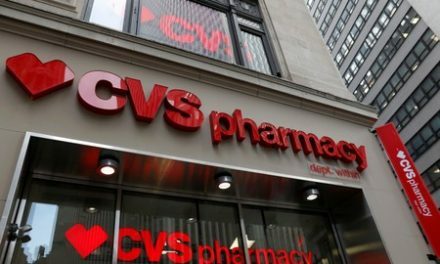 In the last two years, major pharmaceutical makers have limited annual price hikes of prescription medicines under growing pressure from the administration of U.S. President Donald Trump and Congress. HCCI, based in Washington, D.C., tracks insurance claims data on about 80 million people, drawing on information from the government’s Medicare health plan for Americans aged 65 and older and four of the industry’s largest health insurers: UnitedHealth Group, Aetna, now owned by CVS Health Corp, Humana Inc and Kaiser Permanente. The insulin report analyzed commercial claims data for about 15,000 patients with type 1 diabetes annually who had at least one prescription for an insulin product during the year. From 2012 to 2016, the average price of insulin increased from 13 cents per unit to 25 cents per unit, according to the report. For the average patient using 60 units per day, the daily cost went from $7.80 in 2012 to $15 in 2016. The findings come amid new outrage over the cost of prescription drugs in the United States, the highest in the world. This month, Democratic lawmakers introduced legislation aimed at lowering prescription medicine costs for consumers and sent letters to 12 drugmakers seeking information on price hikes. They included the top three insulin manufacturers – Indianapolis-based Eli Lilly and Co, Danish drugmaker Novo Nordisk A/S and France’s Sanofi SA. In October, the Minnesota attorney general sued the three main insulin makers and accused them of deceptively raising prices. A similar proposed class action lawsuit on behalf of patients is pending in New Jersey federal court. “Different actors want to make an example of insulin now and how its cost is a huge barrier for millions of patients,” said Rachel Sachs, an associate law professor at Washington University in St. Louis. So far in 2019, Sanofi raised prices on some insulin products between 4.4 percent and 5.2 percent, while Novo Nordisk raised prices on some of its insulins by 4.9 percent. As of Jan. 17, Lilly had not raised prices on its insulins. Sanofi told Reuters that about 85 percent of people who manage their diabetes with its insulin products pay less than $50 a month. 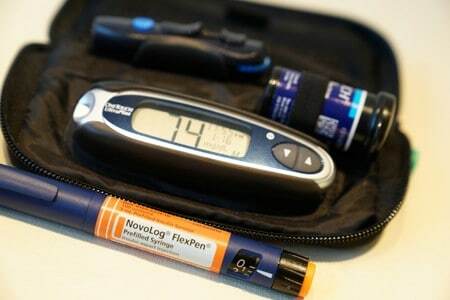 Novo Nordisk said a majority of people who manage their diabetes with its insulin products also pay less than $50 a month. Lilly did not respond to a request for comment. About 1.2 million Americans have type 1 diabetes, a chronic condition in which the pancreas stops producing insulin. Type 2 diabetes, a growing problem linked to the obesity epidemic, is far more common, affecting nearly 30 million people in the United States, according to the American Diabetes Association. While type 2 diabetes is treated with a variety of other medicines, those patients may also eventually become dependent on insulin as the disease progresses.